( Left) A Northern Wheatear, a tundra-breeding member pf the thrush family and rare visitor to the US appeared in Everglades National Park in mid-September, 2006. 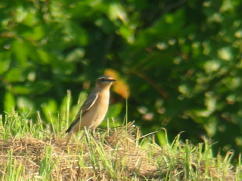 This was probably only the sixth reported occurence of this species in Florida, and the first time this vagrant has appeared in the Everglades. 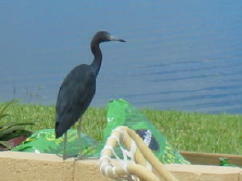 This adult Little Blue Heron (Right) decided to rest on our back patio as I took a break from planting tomatoes. September, 2006. 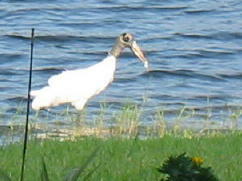 (Left) Wood Stork feeding , also seen from our patio the same day. (Right) Our house, front view. (Left) Ken caught this Largemouth Bass from our back yard. (Right) Our house, viewed from the park diagonally across the lake. 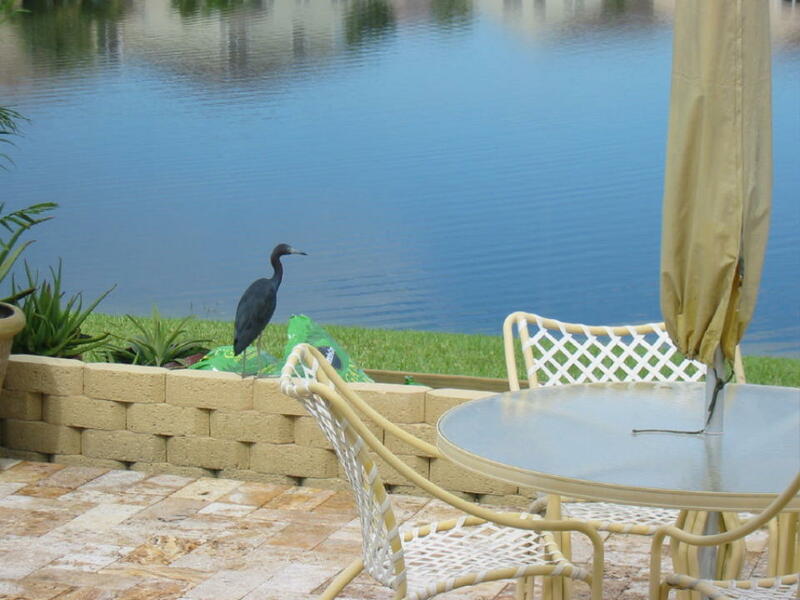 (Left) Click on this picture to see a scrolling panoramic view of Monaco Cove Lake from our rear patio. (Right) Here is another scrolling panoramic view of our house from the southern shore of the lake. (Left) The crusty old "Alpha" Muscovy Drake whom we call "Pato El Presidente." (Right) One of "El Presidente's" ducks with her 14 newly hatched ducklings. Within a week, her brood had been reduced to only 4. We witnessed one being eaten by a bass. 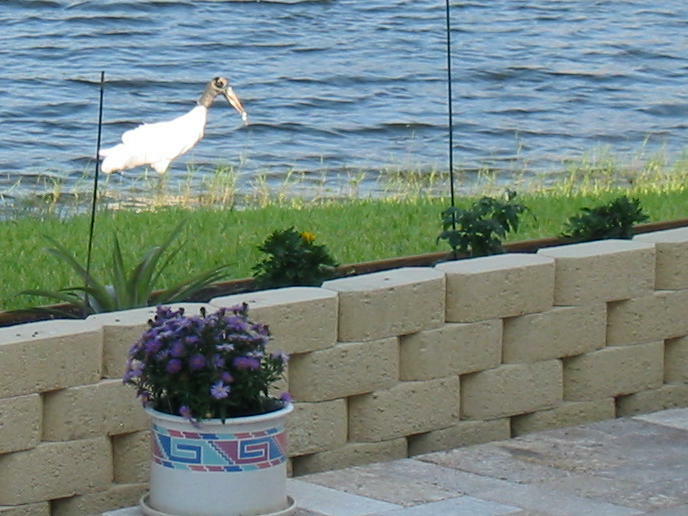 (Left) Our lake communicates with the nearby Everglades via culverts. 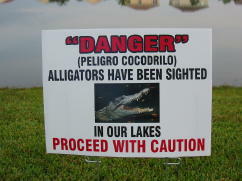 We only saw an alligator on two occasions, a small one about 2 feet long. (Right) Sunrise can be spectacular, especially during the rainy season. (Left) A Green Iguana, the first I have seen in our neighborhood. Good swimmers, they are often mistaken for alligators. this exotic fish. Cannot find a photo that matches it. Looks like a cichlid, perhaps some species of tilapia or guapote. Click on the photo to bring up a close-up view of the fish.